You've read the comics! You've watched the TV show! 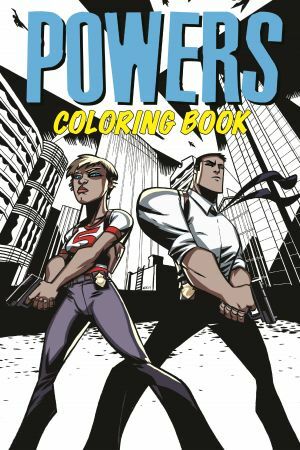 Now, experience Powers like never before as you use your your pens, pencils or crayons to color Michael Avon Oeming's singular artwork! Oeming and writer Brian Michael Bendis have created a world like no other: As heroic capes do battle in the skies above, homicide detectives Christian Walker and Deena Pilgrim pick up the pieces on the dirty streets below! Embrace the dark shades of crime noir, or brighten up Walker and Pilgrim's lives like never before! 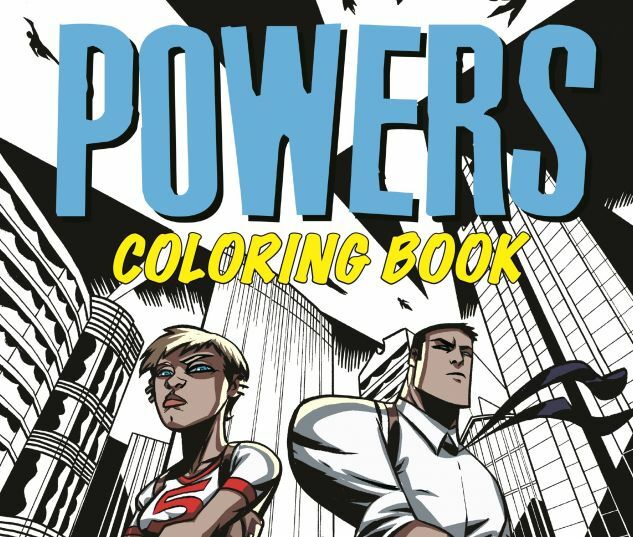 In Powers, there is no black and white - only shades of gray! Or orange, or blue, or yellow...it's up to you!